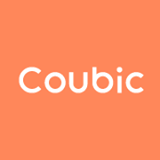 Communication Type Reservations – Coubic Inc. Suitable for services such as nail salon, beauty salon, massage, health care, etc. Click on "Create Post" and select "Add Reservation Page". Then select "Communication Type". Once you post your page, customers propose their preferred date/time for the service, which will appear in your calendar for reservation book. Service provider can then respond to customers' request to fix the final date/time by communicating with the customers.